There are potential pitfalls associated with the pursuit of accurate surgical navigation, such as vulnerability of the reference array to accidental dislodgment and damage or soiling of tracking arrays on tools. Additionally, there are hazards encountered when attempting accurate robotic screw placement in spine surgery, including skiving of the tool on bone, displacement of the robotic arm, or patient movement. Proven techniques are needed to address and mitigate these issues to ensure that navigation integrity is maintained and screw placement is accurate when using navigated robotic surgical guidance systems. 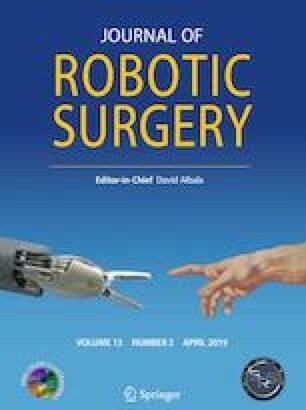 The following research describes some potential hazards commonly encountered in robotic navigated screw placement, suggests techniques for overcoming these hazards, and provides examples of how these techniques have been incorporated into existing surgical robotic guidance systems. The Excelsius GPS™ robot described in this manuscript manufactured by Globus Medical, Inc. (GMI) was invented by authors Neil Crawford, PhD, and Nicholas Theodore, MD. Author Neil Crawford, PhD, is entitled to royalty payments on sales of the Excelsius GPS™ robot and owns GMI stock. Author Nicholas Theodore, MD, is entitled to royalty payments on sales of the Excelsius GPS™ robot and owns GMI stock. Author Nicholas Theodore, MD, is a paid consultant to GMI. Author Neil Crawford, PhD, is a salaried employee of GMI. Author Norbert Johnson, MS, is a salaried employee of GMI.